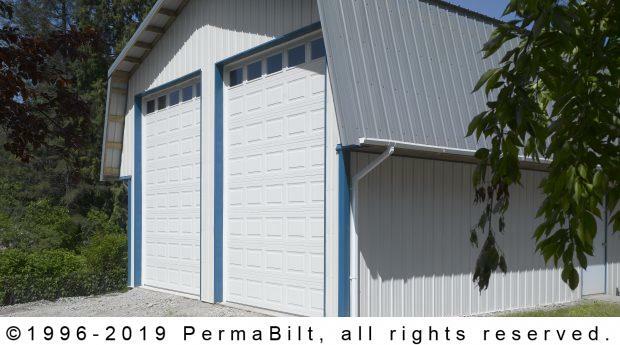 There’s a garage style post frame building to fit any need. PermaBilt® starts with a detailed analysis that meets space and aesthetic requirements. Our Snohomish Washington client works on vehicles. Much of his work is done while a vehicle is on a hoist. 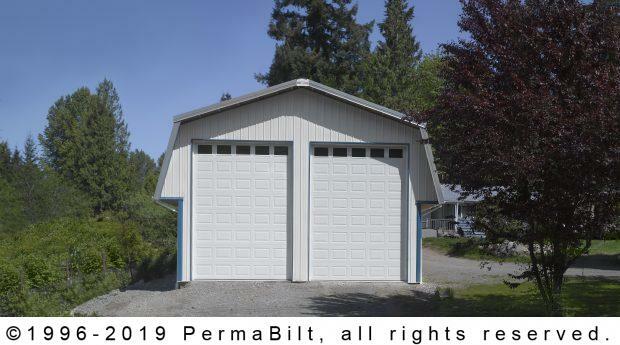 Design versatility was key in the planning for his garage. 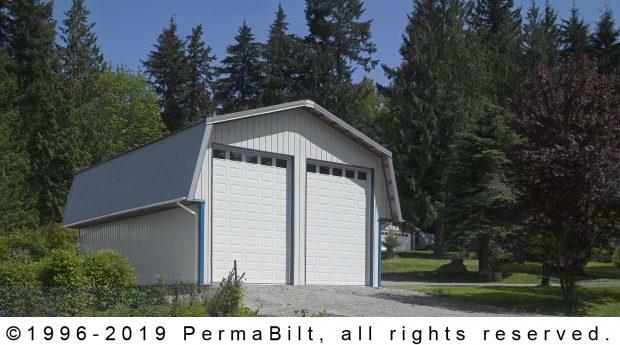 The Dutch Gambrel style, common on barn design, is also becoming an attractive style for shops and garages. The Dutch Gambrel design has a 2-sided roof with a different roof pitch on each side, the lower slope having the steeper pitch. The Gambrel was required as our client needed the height if a vehicle he was working on was on a hoist. 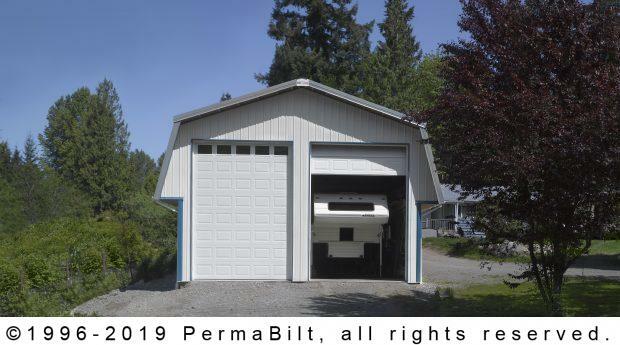 The garage also had a 50# loft, 24’ x 12’. There was a PermaBilt® walk-in door on the 2nd story floor leading out to a future deck that was to be built by the owner. The upstairs door was set in the middle of the gable and (2) windows were set at the same height as the upstairs walk-in door. The garage had a 2’ wing on both sides and 18” overhangs front and back. The (2) garage doors, each 10’ x 14’, were insulated raised short panel with plain lites. When the 24’ x 36’ x 4” concrete was poured and dry, our client was ready to work on vehicles in his new attractive investment.